The main difference of DIAFAN.CMS from other products is its simplicity and affordable price. However, its simplicity is one of its main disadvantages, because webmasters have to perform many operations manually. For example, website image optimization might take many hours. And pages with non-optimized images are loaded much longer. 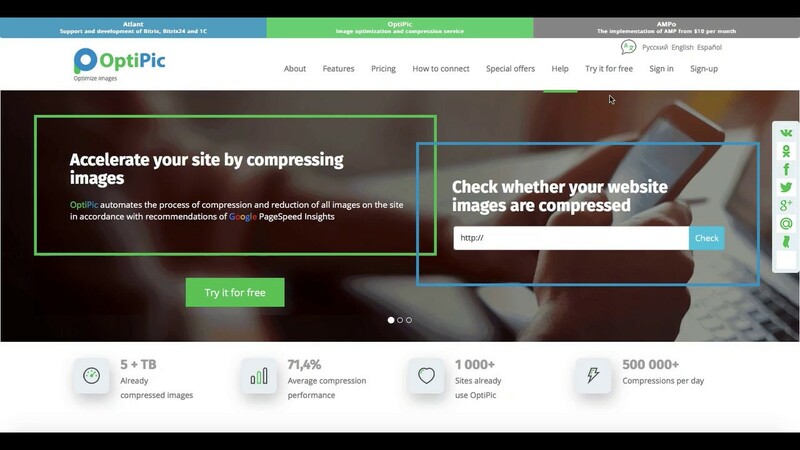 But image compression in DIAFAN.CMS can be automated by using the OptiPic plug-in. It perfectly interacts with the content management system and does not hinder the stability of website operation. Configuration and installation of the image compression plug-in in DIAFAN.CMS will not take a lot of time. All required steps are performed in a couple of clicks. Image compression for DIAFAN.CMS runs in the background and does not require human intervention. Operating performance efficiency of the OptiPic module has already been proved in practice. It demonstrated the image compression ratio of 50-70% in working projects. The plugin for image compression in DIAFAN.CMS can help reduce the occupied space in hosting and to speed up page loading. How can optimizing images for DIAFAN.CMS speed up a site? How to get started with OptiPic service for DIAFAN.CMS for image compression?